If you’ve yet to experience the delights of Night In The Woods, it’s a game that looks like a CBeebies show with occasional swearing in it. This might sound like a dismissively reductive description but, actually, it’s an affectionate compliment. It also sums the game up rather nicely, to an extent. So far as we’re concerned, anyway. 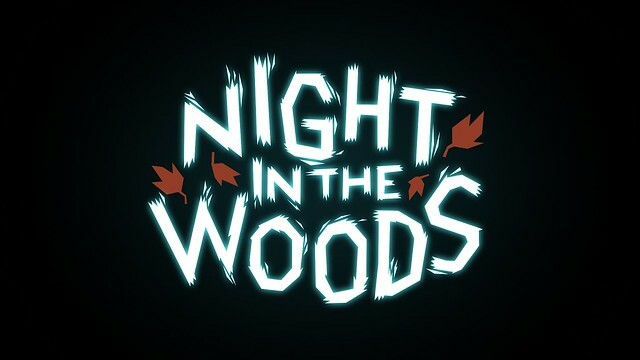 Despite all the anthropomorphic animals and preschool presentation, NITW tells a witty tale of young adults grounded in reality. The main protagonist is Mae, a college dropout who happens to be a cat. Returning to her hometown, the reasons for her abandoning college are initially shrouded in mystery (and, indeed, never fully resolved). This abandoning of higher education proves to be a symptom of the game’s main themes, rather than an important plot point in and of itself. If you insist on popping games into a familiar genre, then this is a platformer… kind of. You certainly do a lot of running and jumping about. What you do more than anything else, however, is talk (or, at least, read and hit ‘X’). You talk to your friends, you talk to your parents, and you talk to strangers. Much like real life, some of this has a purpose, and some of it does not. The writing is razor-sharp. It can be laugh-out-loud funny at times, while at others, you’re taken by surprise at how seriously somebody does (or does not) take a development. Again, just like real life. There’s a whole retro dungeon crawler to play on Mae’s laptop, while at other times, her bass provides an excuse for a rhythm minigame. There is even a shoplifting minigame, yes, you read that right. Mae is more than a character in a game; she’s a kid who makes dumb mistakes, existing in a world full of surprises and humour for both her and the player. Unsurprisingly, perhaps, it’s at the moments when things steer closest to a traditional game that the experience is at its weakest. Mae soon starts having nightmares, interactive sequences with the ostensibly simple objective of locating certain characters before returning to a certain point in the stage. Although aesthetically interesting, these levels can become tiresome if you don’t round up all of the musicians that you’re looking for fairly quickly. It’s only the promise of more witty dialogue and story development once you wake up that will continue to push you forward. If we’re going to be really picky, then we might perhaps go on to say that the sprinkling of supernatural happenings at the end would have been better left out, as they threaten to erode the world-building that the game up until that point has so carefully engaged in. Still, these are ultimately slightly sour stabs that some people won’t even agree with. 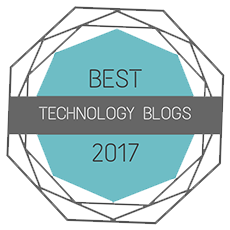 The bulk of the experience, without a doubt, is a masterclass in storytelling. 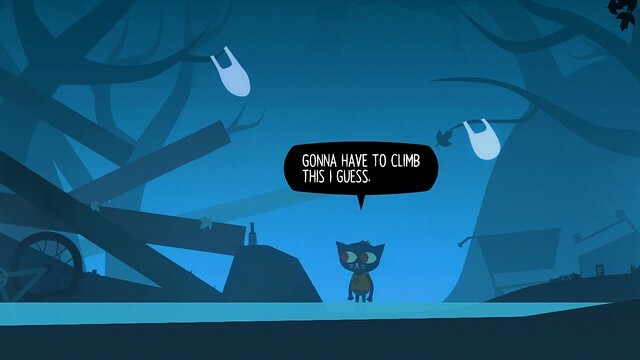 NITW is a dialogue-heavy game, and a lot of that dialogue is entirely optional. Chances are, you’ll lap up every last syllable, because you will want to hear what everybody has to say at every opportunity. Bad jokes, iffy poetry, a fight with your mum, young kids saying and doing stupid young kid things, just saying hi; you’ll want to bask in it all. If the game has a message then it is, perhaps, that one day you need to start acting like an adult whether you like it or not; but there’s no reason you can’t have fun along the way. Indeed, there’s no reason you can’t have fun while also admitting that the adult world exists. What we have here is sort of like a ‘being young and talking to people simulator’. It’s amazing just how real and grounded everything appears, despite the fact that it looks like a kid’s show and you count a bear and a crocodile amongst your friends. It’s the kind of idiosyncratic adventure that you would’ve expected to start on the Switch (on which it looks lovely both on and off the TV), rather than be belatedly ported to it. 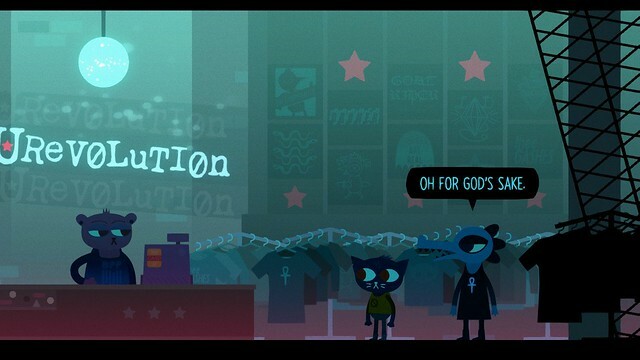 If you want smart and funny writing, then you want Night In The Woods.